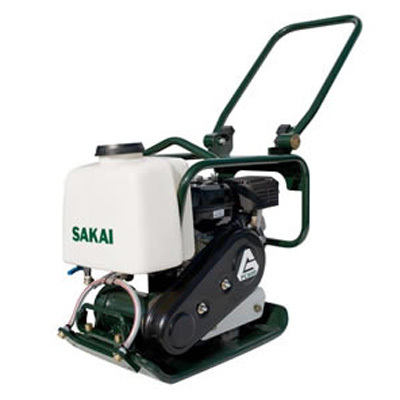 The Sakai PC600 Plate Compactor includes a removeable water tank with a heavy duty hose and valve. It has a foldable handle and superior shock absorbing isolators. It features a heavy duty hardened steel plate and is extremely light weight. Some applicaitons include small confined compaction jobs, back fill, trench work, utility gas and electric, or landscape projects.